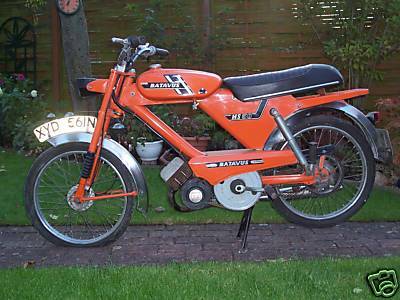 Batavus is a Dutch bicycle manufacturer, currently owned by the Accel Group European Cycle conglomerate. 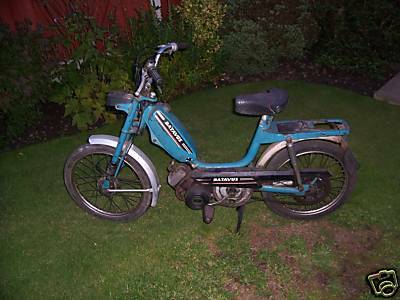 Batavus Intercycle Corporation was the leading manufacturer of bicycles and mopeds in the Netherlands during the 1970s. During its most productive years, the company's 350,000 sq. 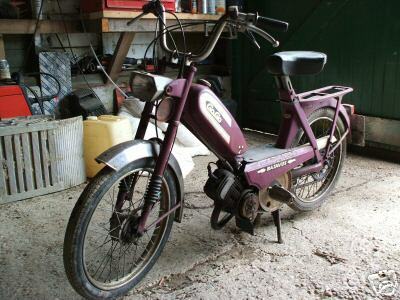 ft. Heerenveen, the Netherlands plant employed 700 craftsmen to produce 70,000 Batavus mopeds and 250,000 bicycles a year. 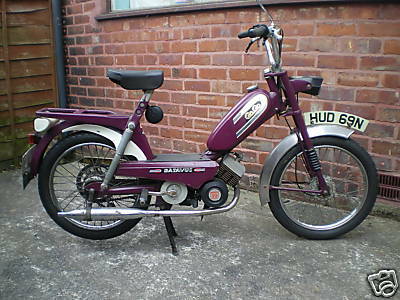 During this time, Batavus was exporting 55 percent of its production with the remainder going to the Netherlands which had more than two million mopeds on the roads as of 1977. 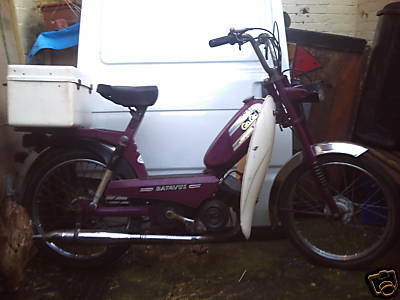 1973 Batavus Moped 48cc, automatic, chain drive. 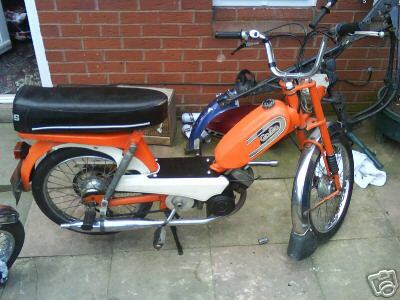 1974 Batavus HS50 Twist and go moped.